I have had folks who are just starting out in prepping regularly ask me a pretty standard question. Then again, many long-time and experienced preppers come to a point where they ask me the exact same question. Many preppers, whether new to it or well-experienced, tend to not give much value to communications. And that it a serious problem. So what question are these folks asking me that I think is so important? 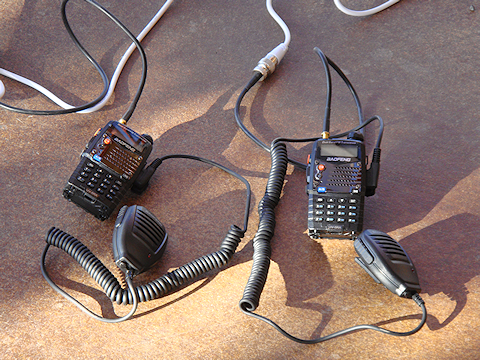 I have done plenty of articles about radio equipment, but I haven’t done a “buy this” article. That changes as of today because I want to make sure that every prepper, regardless of experience level, knows how to mitigate this very significant risk/threat of poor, or complete lack of communications. What Kind of radio and accessories do I buy? How do I set it up to work right? Nice thing about this article, I am not going to present you with some expensive endeavor to undertake. What I will present to you is very affordable. And each level can be built upon as financial resources become available. I will take it in levels according to meeting increasing needs, or “missions” as I refer to it. 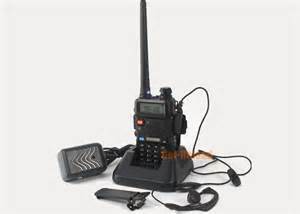 Mission: To acquire a simple, easy-to-use, basic radio communications capability. 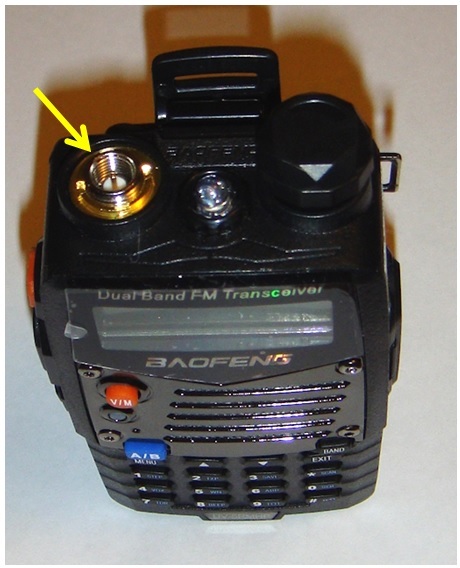 Step #1: Purchase a Baofeng UV-5RA radio. $26 – $27. 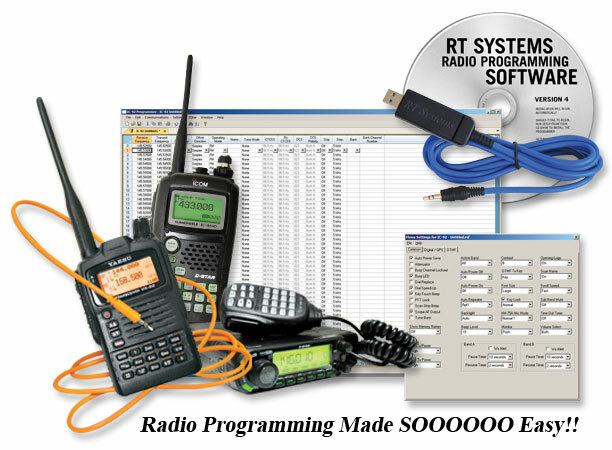 Step #2: Purchase RT Systems programming software for the Baofeng UV-5R radio. By purchasing the radio unit that I mentioned you now have the capability to communicate via a great little reliable handheld radio. Now, you have a whole lot of communications capability. But to be used effectively it also requires the ability for you to program the radio. Programming is accomplished either manually through the keyboard or via a laptop computer/software. I far prefer the computer method, but it does require software. There is a free software programming software out there. I am not a huge fan of it because I have experienced problems with it in the past when I was testing it. I have chosen to go with a $49 software package that includes the programming cable. This software programming tool has been extremely stable and successful. I am 100% satisfied with it. Mission: Extend the usable radio time, increase the range, and increase the reception clarity of the radio. Step #1: Purchase a 3800mAh rechargeable battery. By purchasing this battery you now can be recharging one battery while running your radio on the other battery. The 3800mAh battery will last about 3 – 5 days while the battery that comes with the radio will last 2 – 3 days. Of course that will depend on your actual usage, which is mostly predicated on how much time you spend transmitting. The 14.5” antenna is actually far more appropriate for the 2m and 70cm bands than the little stubby antenna that comes stock with the radio. The longer antenna will increase the range of transmissions to be sure. But, this more appropriate antenna will also improve the reception clarity of the radio as well. Now, before you find yourself getting too excited at this point I want to completely dash your enthusiasm. Let me start off by reminding you that I am a bit of a perfectionist and a little OCD. That being said, the battery has a very slight modification that needs to be made to get it to fit right. It is fairly easy, takes less than ten minutes, and you can do it with almost no problems. And again, the antenna “fix” is no big deal. Actually, if you don’t want to perform the fix, the radio and antenna will be just fine. I just found this minor flaw for rainy weather and wanted to show you what I did to fix it. If you try to find an antenna that doesn’t have the flaw that I mentioned above…don’t waste your time. I spent a bunch of time looking for a “flawless” antenna…it doesn’t exist. 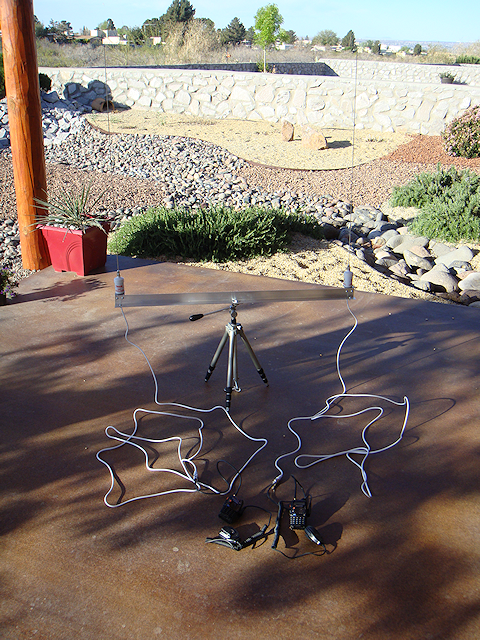 This ExpertPower antenna is a great antenna. My “fix” makes it a more solid and also a rain repellent piece of equipment. A word of caution – There are other brands of 3800mAh batteries out there. Actually, all of those batteries are probably made by the same company in China. But, there are some differences. All of them require the minor modification that I referred to. However, I bought a couple different name bands for testing. They were slightly different in design and wouldn’t fit the radio without extensive modification with a Dremel, etc. Stick with the Powermall battery. And if by chance you would get a bad battery from them (i.e. won’t hold a charge) they are super good about taking care of customers. Mission: Allow additional battery charging capability and significantly improve radio transmission performance. 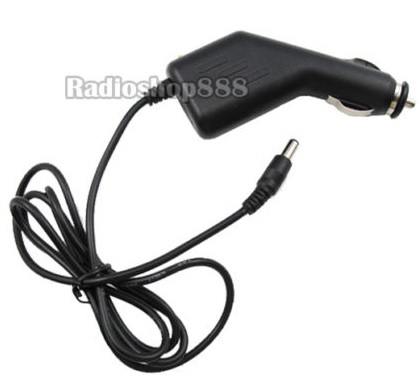 By purchasing the Radioshop888 12vDC charger adapter you now have the ability to recharge your batteries from any 12vDC source. Examples would be; vehicle cigarette receptacle, solar charger unit, portable power pack, etc. This enables you to maintain power to your radio when normal 120vAC utility power is not available. 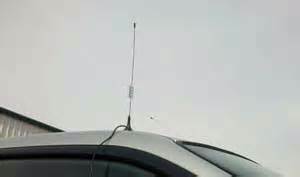 The Tram antenna is the solution for radio operation in a vehicle. 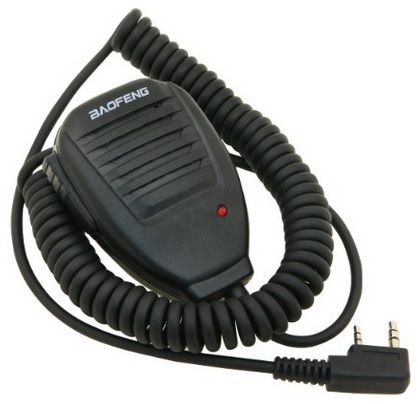 Even with the ExpertPower 14.5” antenna on the radio, the reception and transmission capabilities of a handheld radio are greatly diminished due to the vehicles metal body. Getting the antenna outside of the vehicle’s body makes a huge difference. And the vehicle’s roof is also usually higher than a normal person holds a radio so you get the increased antenna height as well. 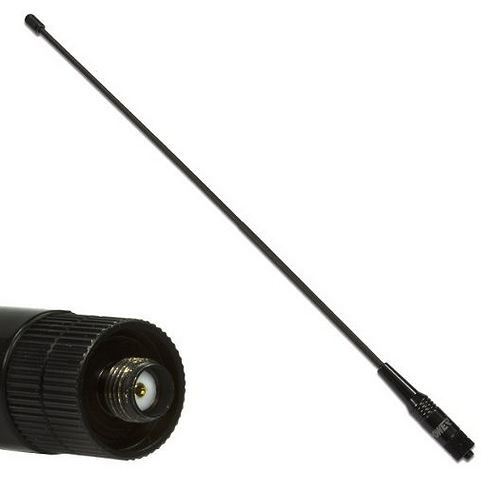 The antenna mentioned above comes with a cable that is long enough to reach inside the vehicle but you need to connect that cable to the radio. That takes a special adapter cable to connect the antenna cable to the radio itself. There are other cables out there, some less expensive. Now you have that improved transmission/receptions capability, especially during vehicle operations, you are now probably wondering why I included a speaker microphone in this “level.” There is a natural “weak point” when using the UV-5RA for vehicle operations. 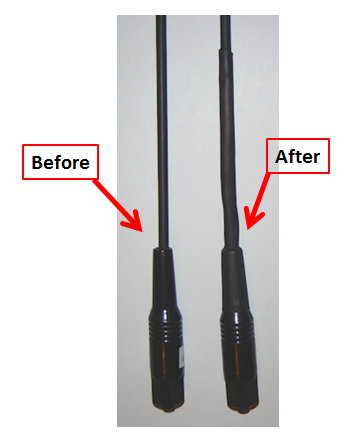 To make the larger vehicle antenna work with the radio to have use the adapter cable because you are transitioning from a larger PL259 connection on the antenna cable to a much smaller SMA connection on the radio. The adapter cable makes that transition. However, there is more stress now on the radio’s connection point. What you want to do is not move that radio around to keep as much stress off that point as possible. No, it is not super fragile, but I want to reduce chances of failure wherever possible. And you do that by following Step #4. The speaker microphone is the other piece of gear to round out this operation. There are several different speaker mics out there. Whichever way you decide to go, even if you are not operating your radio in a vehicle, you will get the added bonus of being able to keep your radio on your belt or vest and still be able to speak and hear more easily. I like that option. And there is one additional benefit as well. For a more fixed-position operation you can use two of these little Baofengs as a “mini-communications center.” And it really makes sense to have the speaker mics for that application. WARNING – Do not use the Etekcity vehicle charge adapter! It has no voltage step-down and will burn out your charging cradle and maybe your battery and/or radio. Only use the Radioshop888 unit. Mission: Another power option and carrying capability. The vehicle power supply unit is a very handy piece of equipment. This option allows you to run the radio directly off of a 12vDC power supply. You remove the rechargeable battery from the radio, slide this unit into the radio where the battery normally goes. Then connect to a 12vDC power source via a cigarette adaptor and you are up and running. Word of caution –Only use the unit mentioned above. There are other units out there put I haven’t tested them. The unit must step down the 12vDC voltage to the 7.4vDC that the radio uses. If there is no step-down you will burn-up your radio. 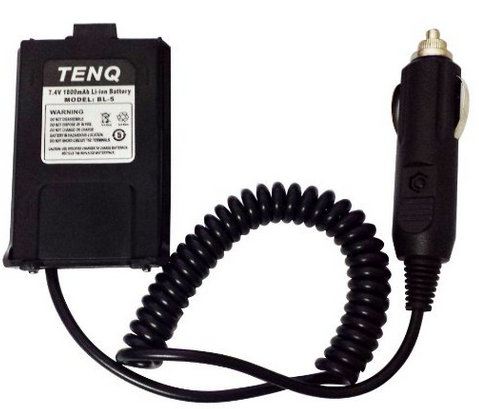 The Tenq has that step-down and has worked reliably for me since I bought it. The flash-bang pouch is a really convenient way carry the Boafeng UV-5RA radio. It is a perfect fit and the pouch’s flap provides additional protection from rain. 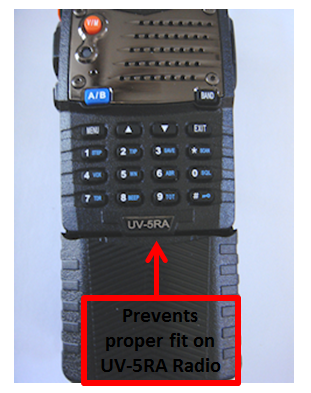 You won’t accidentally drop or lose your radio while it is secured in the pouch. The flash-bang pouch is MOLLE II compatible and the same attachment can be used to secure it to your belt as well. I believe very strongly in the absolute need for radio communications during emergencies, disasters, and especially during any grid-down situation. I think it is imperative to be able to communicate with your family and group members. Without that ability to communicate you are severely limited when it comes to mitigating a long list of risks and threats. I want you to be able to communicate! To accomplish that, in couple of weeks I will be posting a new part of the website, it will be devoted to the Baofeng UV-5RA radio. It will have all the reviews, technical information, downloadable information documents, and programming files for you to use.